Obituary for Joseph John Miller Jr. | Gaschs Funeral Home, P.A. Joseph John Miller Jr. of Hyattsville, MD passed away on Friday April 5, 2019. Joseph was born on March 19, 1931 in Miami, FL to the late Helen Barbara Pell and the late Joseph J. Miller, Sr. Joe was preceded in death by his older sister June J. Miller. 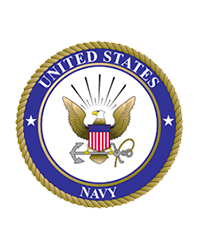 Growing up primarily in Norfolk, VA, Joe graduated from the Bulllis School in Potomac MD and attended the Unites States Naval Academy in Annapolis, MD graduating in 1953 with an engineering degree. Joe was preceded in death by his wife of 52 years, Elizabeth Cecilia (nee Economopoulos) in 2007 who he married in 1955 in Washington D.C. The family includes his six children, Christiana E. Miller of Rogers, AR; Alexandra C. Miller of Hyattsville, MD; Joseph J. Miller III of Springfield, VA; Speros N. Miller and wife Loretto of Hyattsville, MD; Helen M. Miller of Hyattsville, MD; and Elizabeth C. Lehl and husband Mark of Conowingo, MD. He had 11 grandchildren, Blake, Paul, Peter, Sara, Angelina, Mary, Elizabeth, Mark, Nicholas, Matthew, and Michael and 3 great-grandchildren, Magnolia, Oliver, and Sam with another expected any day. Joseph was a United States Navy aviator flying both jets and helicopters and later became a civilian engineer with the United States Coast Guard. Funeral services will be held at St. Jerome’s Catholic Church 5205 Forty-third Avenue Hyattsville, Maryland 20781 April 16, 2019. Friends can visit Joseph in repose in St. Jerome’s Catholic Church starting at 9:30 am followed by Catholic Mass at 10:30 am. A brief graveside service will follow Mass at Mt. Olivet Cemetery 1300 Bladensburg Road, N.E. Washington, D.C. 20002 at 11:45 am.